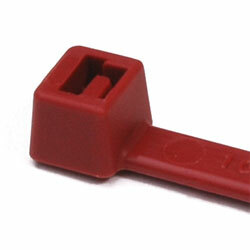 UL Rated Red Cable Ties are used to bundle and secure wire and cable. HellermannTyton U.L. listed Cable Ties meet NEC regulations and can be used in applications where low smoke and low flame are a concern in air handling spaces. Minimum Tensile Strength: 50 lbs.